Marlow Yachts has an unwavering commitment to delivering you a truly pleasurable experience in purchasing, outfitting and owning a premium yacht. Since 2000, Marlow Yachts has become one of the world’s most talked about and sought out yacht builders. From the very first days of development, Marlow knew that the Marlow Explorer would excel in every test applied from strength to performance to visual beauty. They knew that yachtsmen who demanded quality, performance and innovation would want to experience the Marlow Explorer. 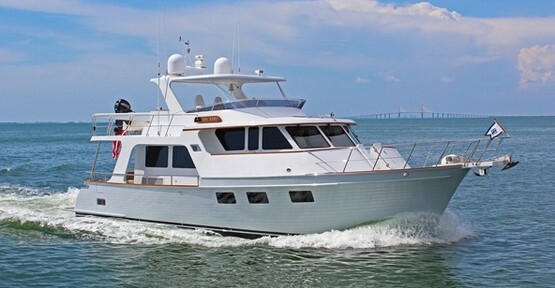 And there has been an immediate and growing demand for this superior yacht. The first Marlow Explorer was a 65C and made her debut at the year 2001 Miami International Boat Show, to absolute rave revues. At each of the large boat shows since her debut, Marlow have had overwhelming success and praise. Buying a Marlow: We offer used Marlow Yachts for sale worldwide, including Marlow Explorer, Marlow Voyager, Marlow Prowler models and more! Contact our sales professionals for immediate assistance. Selling Your Marlow: With a team of experienced yacht brokers and marketing professionals, we will employ a comprehensive marketing approach to ensure your vessel receives maximum global exposure online as well as exposure in person at major boat shows. Learn more about how SYS Yacht Sales will help to sell your Marlow yacht!